Here’s another ‘feel good story’ from the team at O’Shea Plumbing. Our office received a phone call late on a Saturday from the owner of a childcare centre in Doncaster VIC. This was from one of our highly valued, long-term clients (and owner of a series of childcare centres with locations in Mitcham and Springvale VIC). The client had been performing some renovations – replacing the benchtop in the kitchen. He had stumbled upon a gas leak coming from the cooktop. He called O’Shea Plumbing in a bit of a panic, so we instructed him to ‘stay calm and turn the gas supply off at the gas meter’. We also let him know we would be on site in due course to work on the issue. Even though the very next morning was a Sunday, we were more than happy to have one of our emergency plumbers ‘Richard’ – attend on premises at the early hour of 8am. Our plumber found there was a leak on the gas fitting line – he fixed this leak and was able to get the gas turned back on. This meant that the childcare centre could once again have hot water and heating, which was a massive relief for our client! 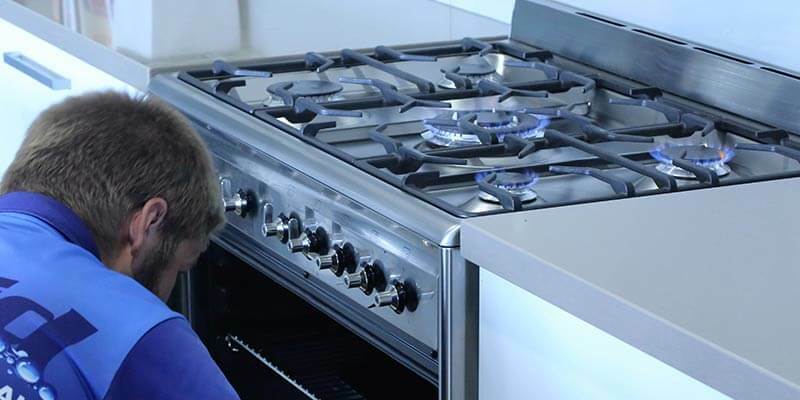 During the works, Richard found that gas cooktop was old and potentially dangerous, so from here the team at O’Shea researched a number of new cooktops available on the market to find one that would fit the ‘cut-out’ of the new bench top. We ordered a new cooktop from the ‘Good Guys’ (Nunawading store) – they were extremely helpful! Within the space of a few days we have the new cooktop arrive, collected and installed in the childcare centre and the kitchen fully operational again. It was the case that not only were the owners happy but the kitchen staff were thrilled to have things back to normal again. Most importantly, the kids enrolled at the childcare centre were warm, had hot water and cooked meals. Due to the public aspect of the job, we lodged a complex gas fitting notice via the Online Gas Installation Acceptance System ‘Gas Trac’ at Energy Safe Victoria. ‘Jarett’, the Service Manager here at O’Shea Plumbing then met with the Energy Safe Victoria inspector on site to review the works – the inspector was very happy with everything.